Technical. Canon 7D Mark II 20-megapixel digital camera and 300 mm f/2.8 L IS II plus 1.4x teleconverter at f/6.3. Exposure 1/500 second, ISO 200. 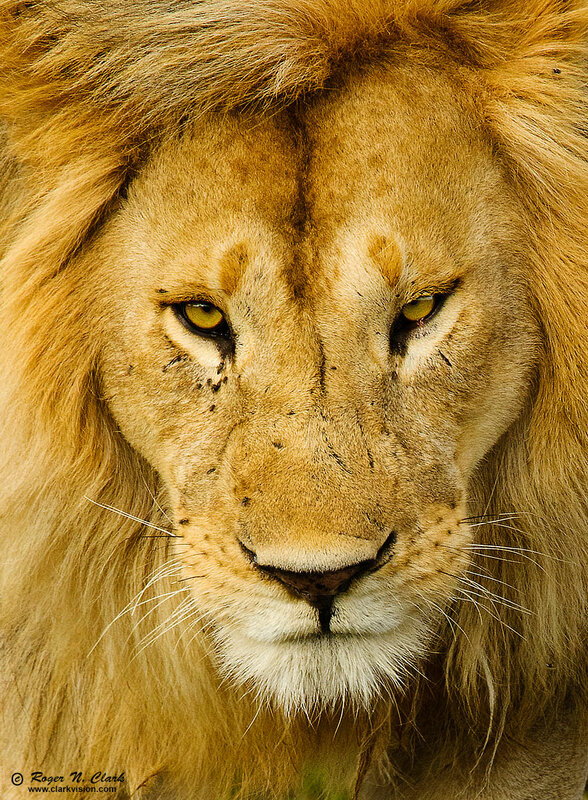 This is a crop of the lions face from the Approaching Lion image, at about 65% of full resolution.